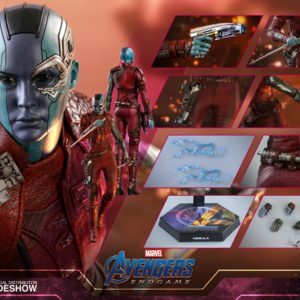 Are you ready for the return of Marvel’s cosmic crew? 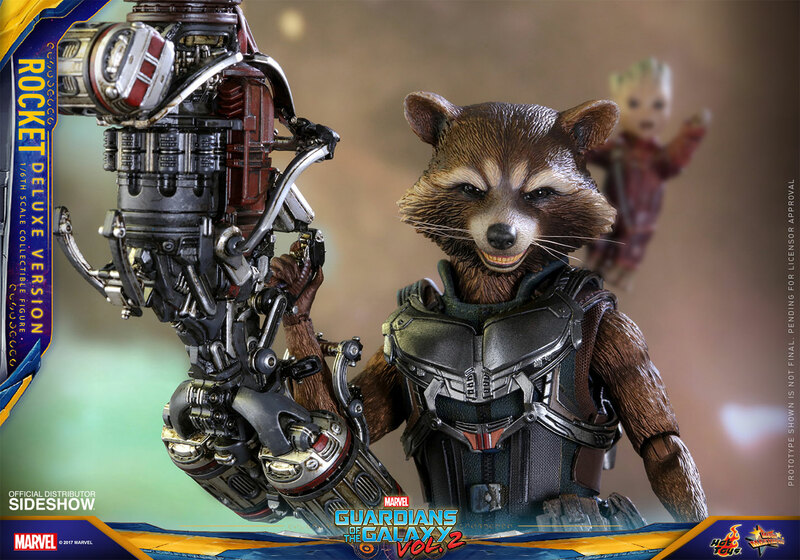 Star-Lord and company are back in cinemas this spring to kick off the blockbuster movie season, and fans will happily go along for the ride on their latest intergalactic adventures! 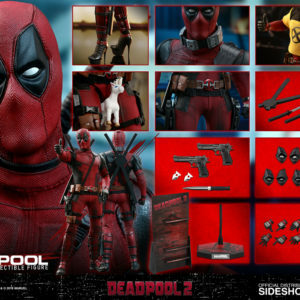 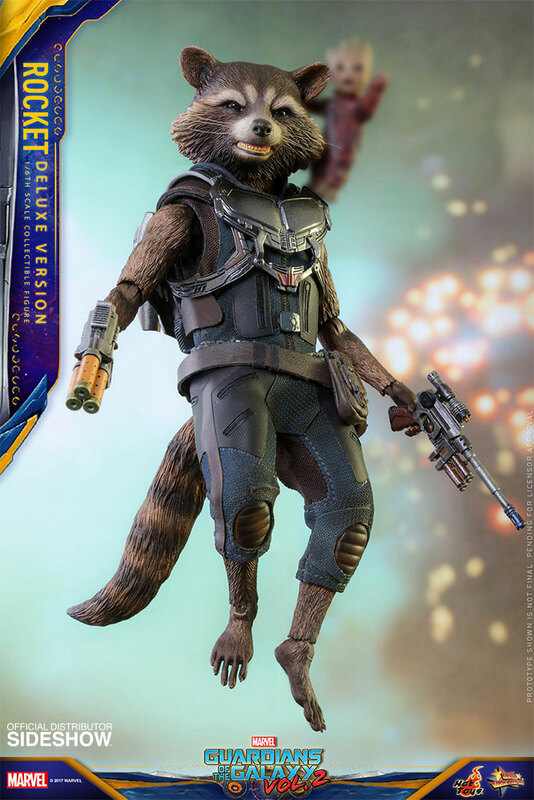 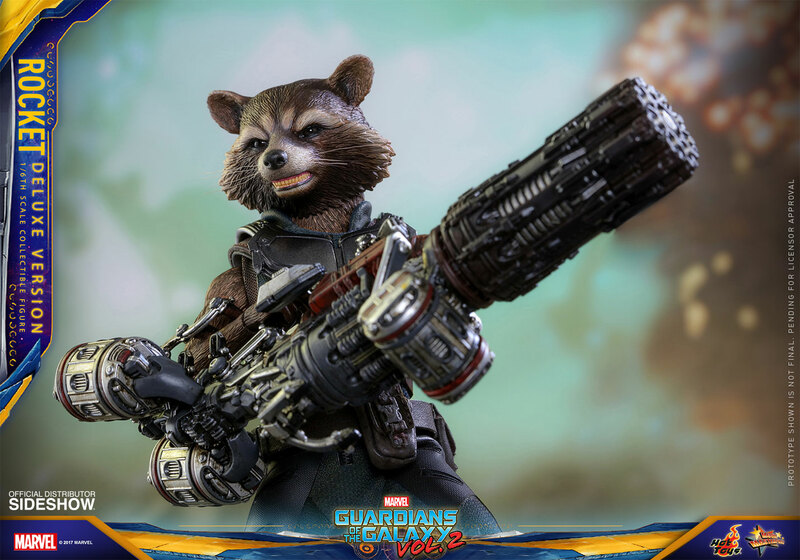 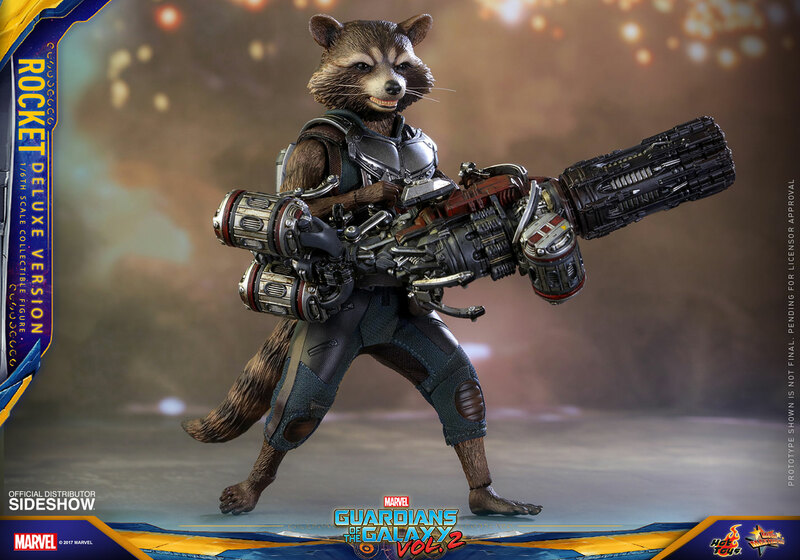 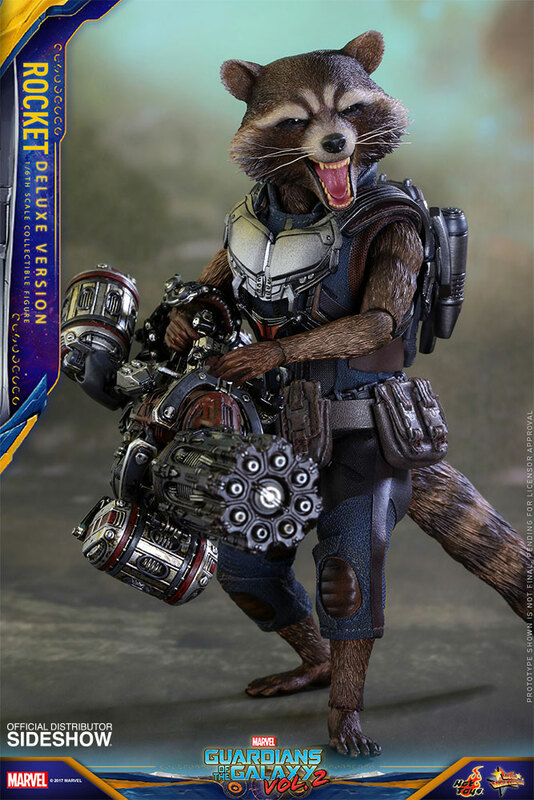 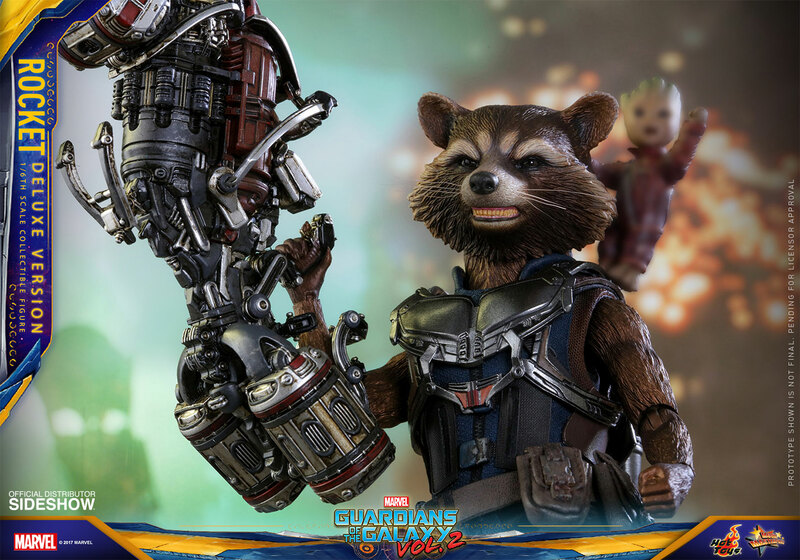 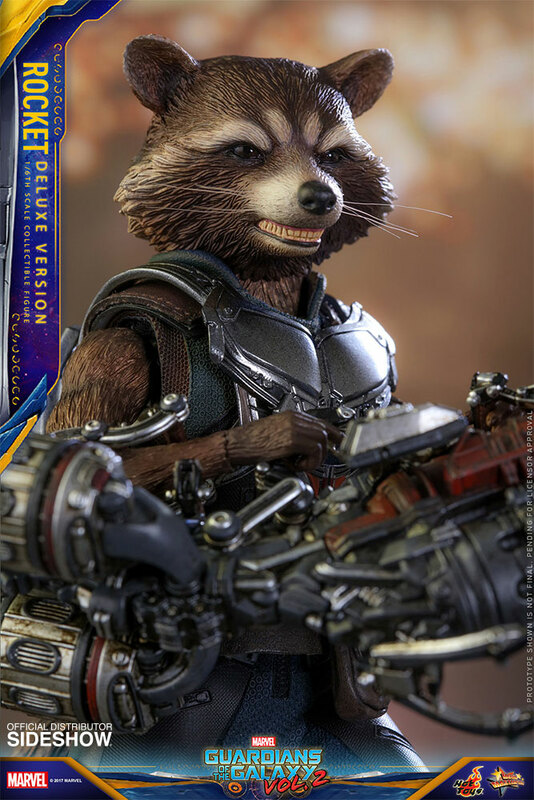 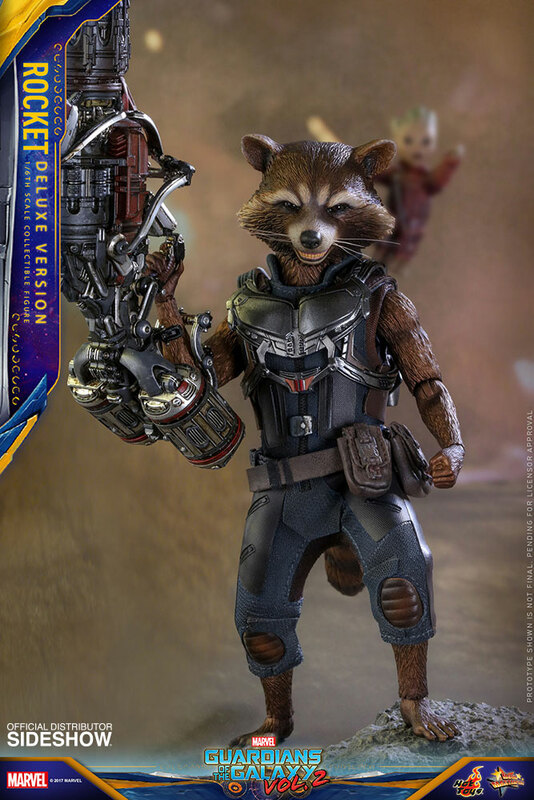 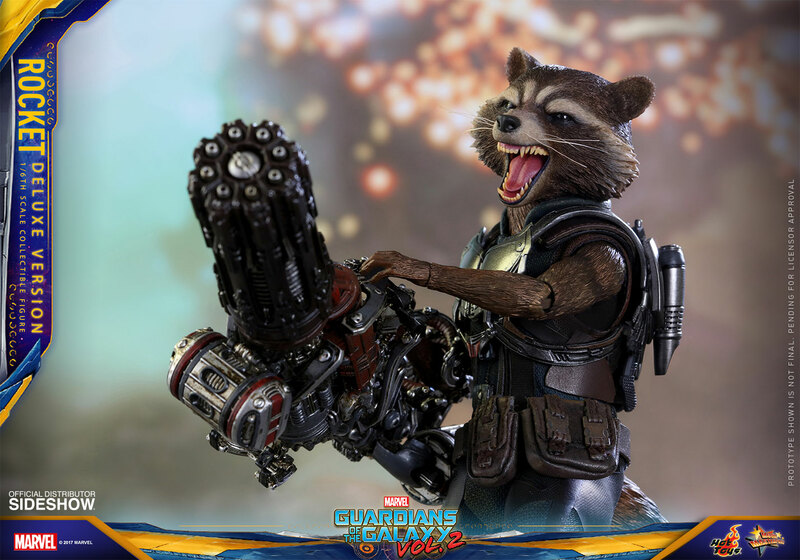 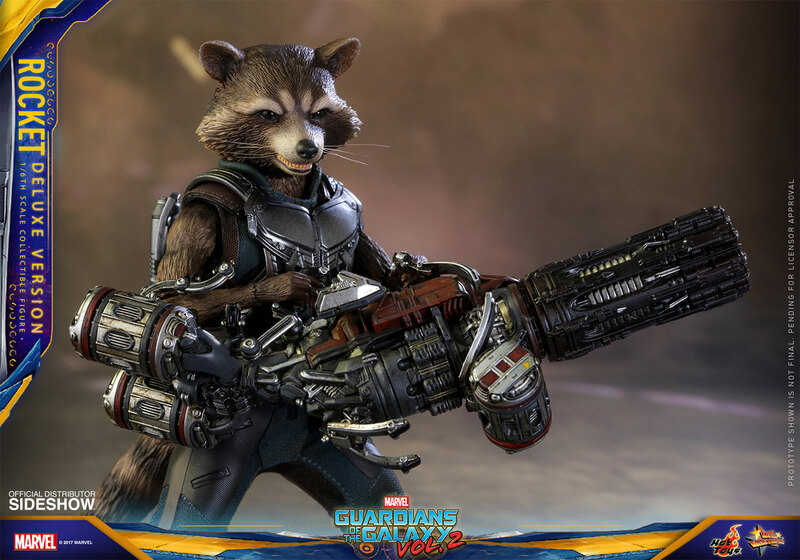 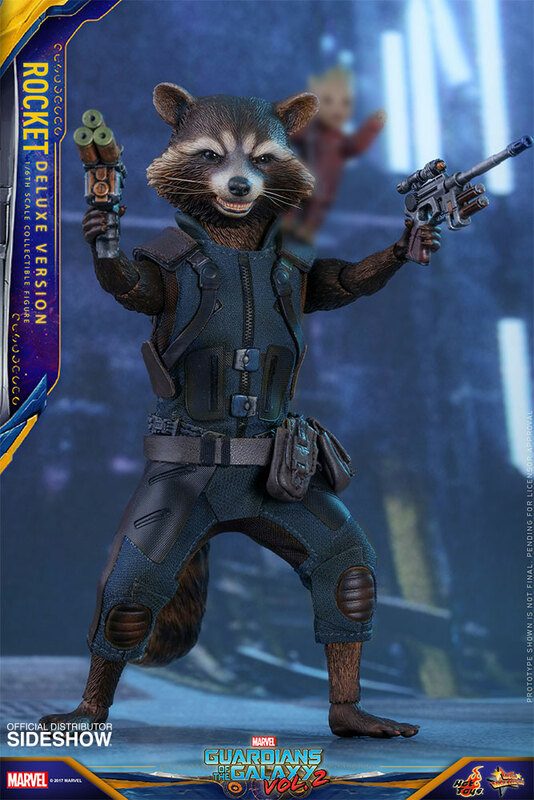 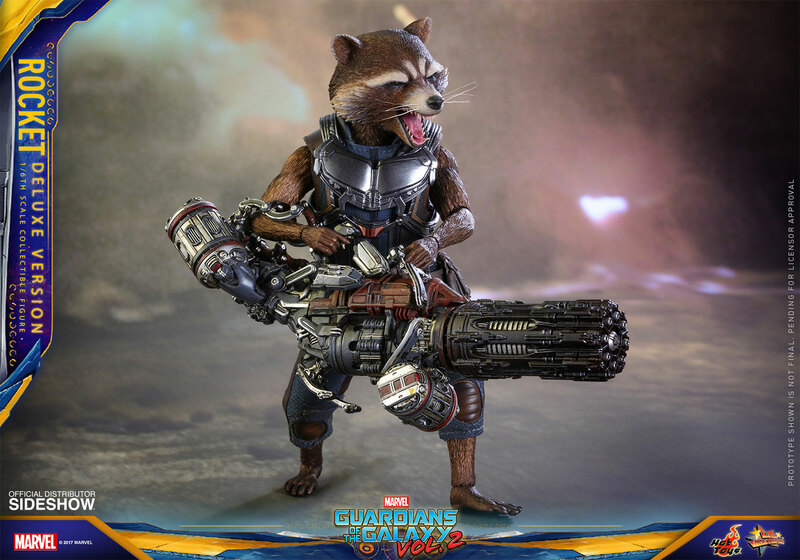 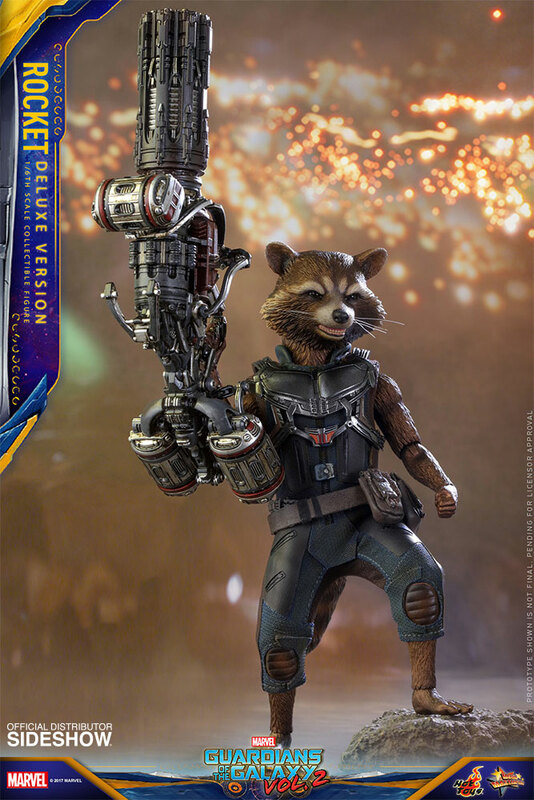 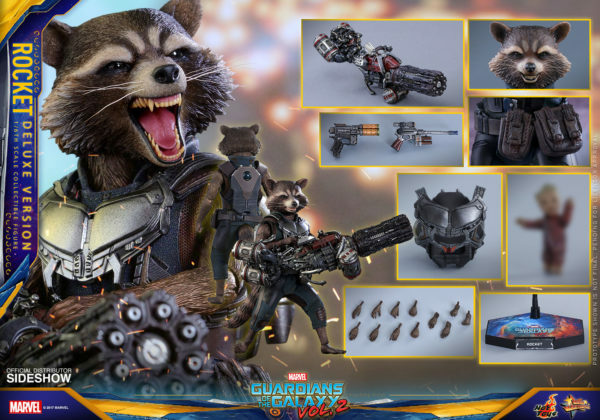 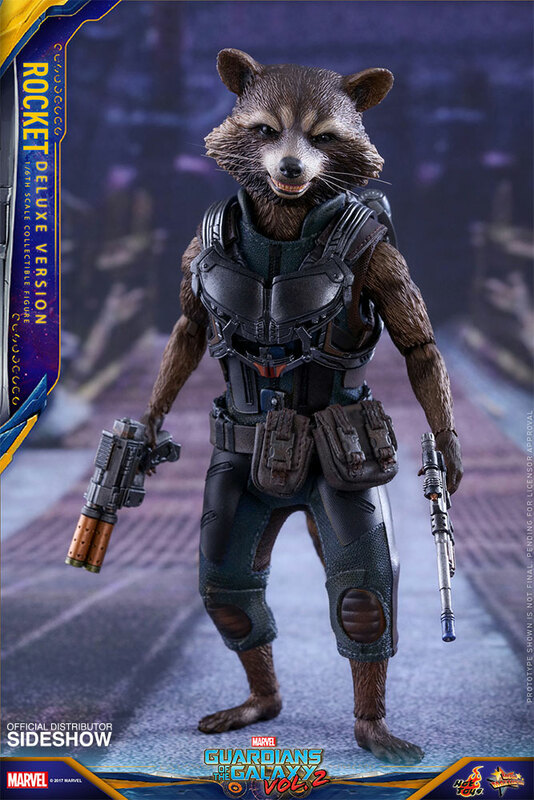 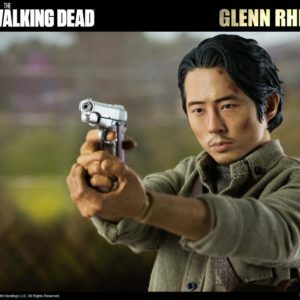 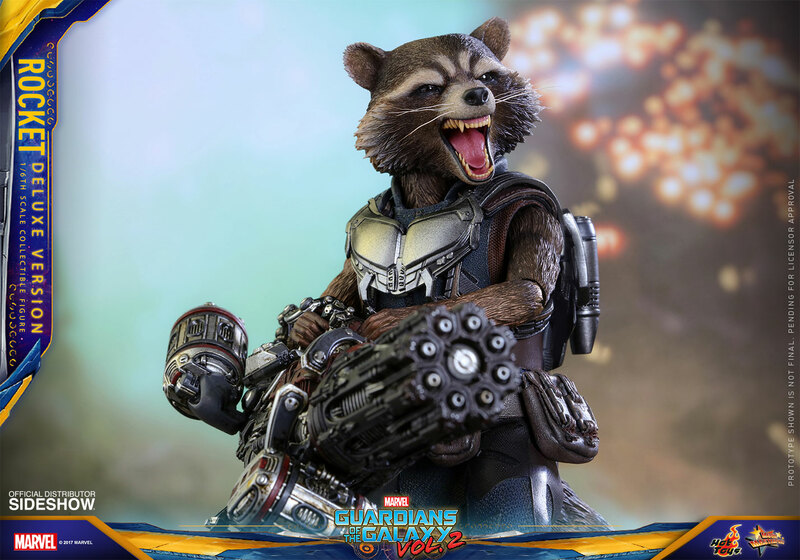 Sideshow and Hot Toys are excited to announce a Deluxe Version sixth scale collectible figure of Rocket, the gun-toting space raccoon with attitude to spare!